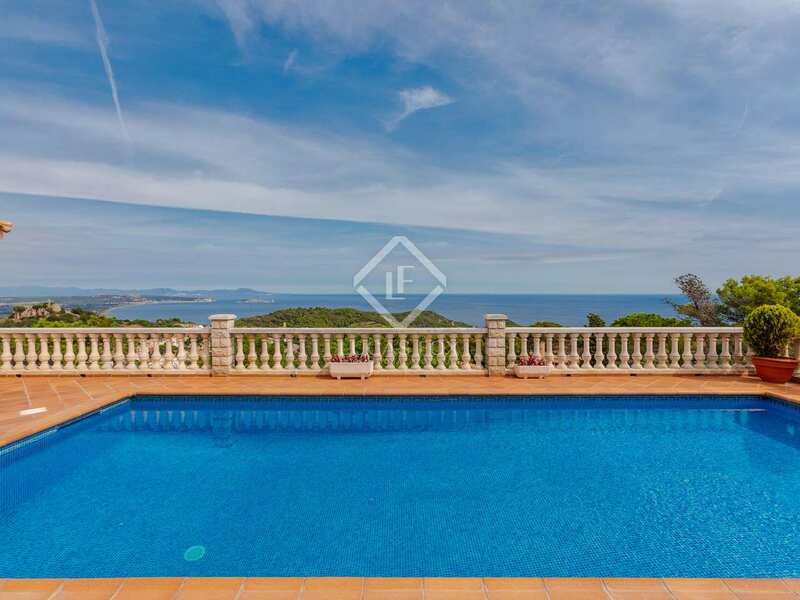 Large Mediterranean villa with stunning sea views for sale within walking distance of the town of Begur. 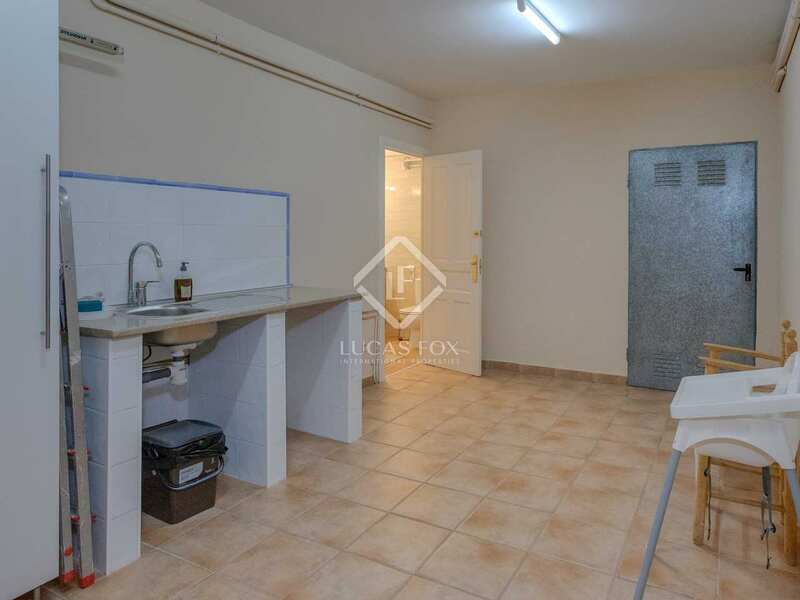 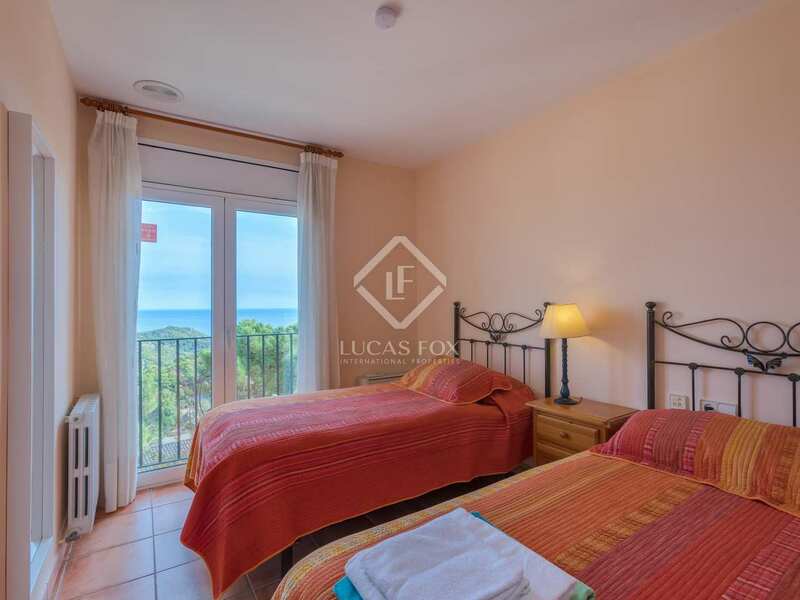 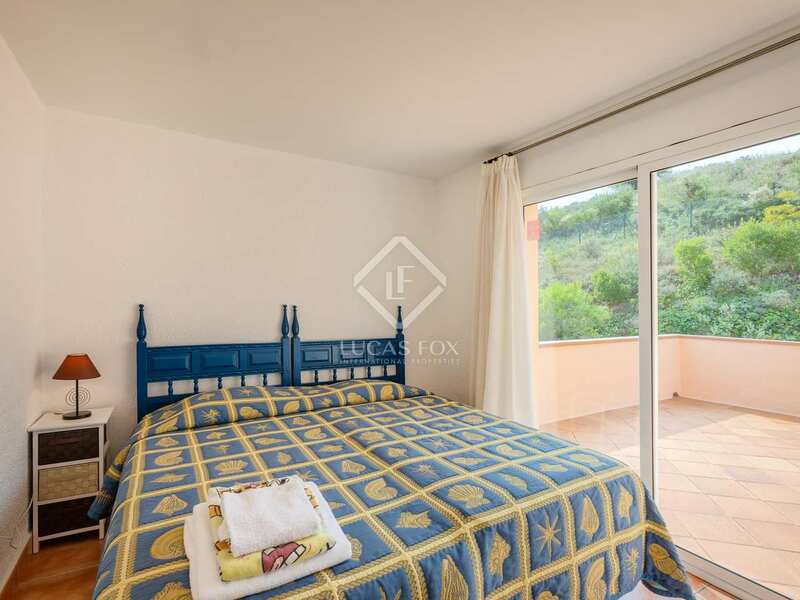 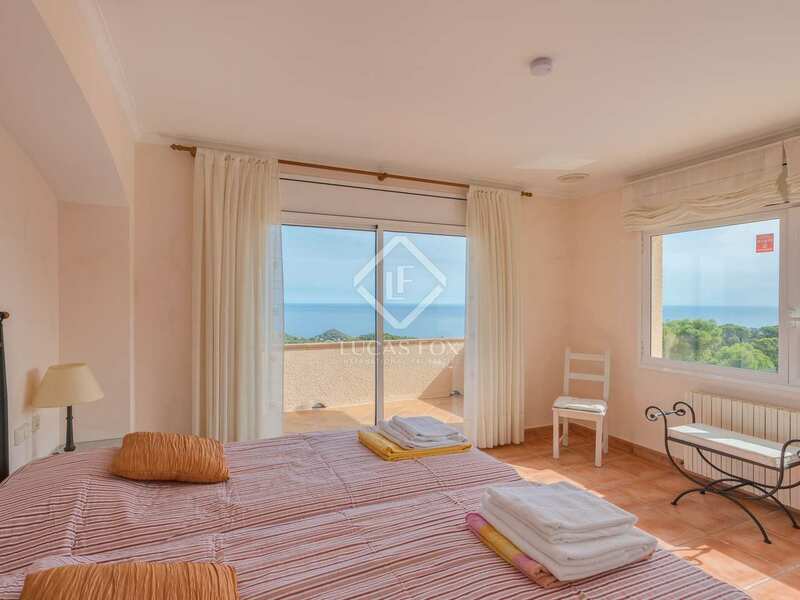 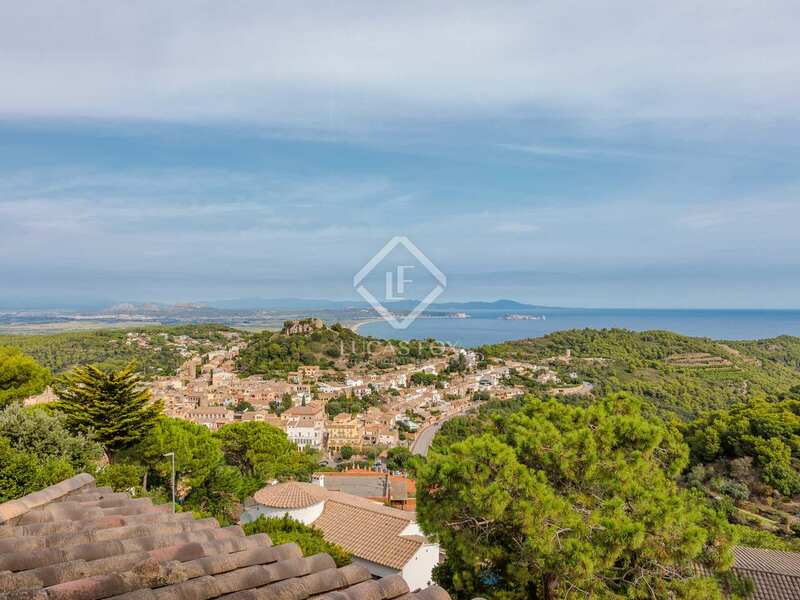 Just a 10-minute walk from the centre of the charming town of Begur with its shops, bars and restaurants and only a 5-minute drive by car to the picturesque beaches of Sa Tuna and Sa Riera, we find this spacious 6-bedroom house with a separate guest apartment. 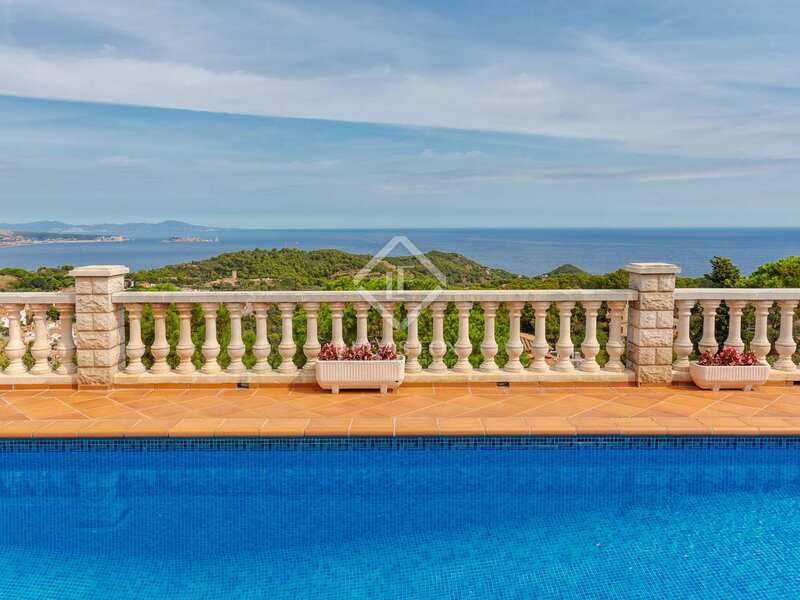 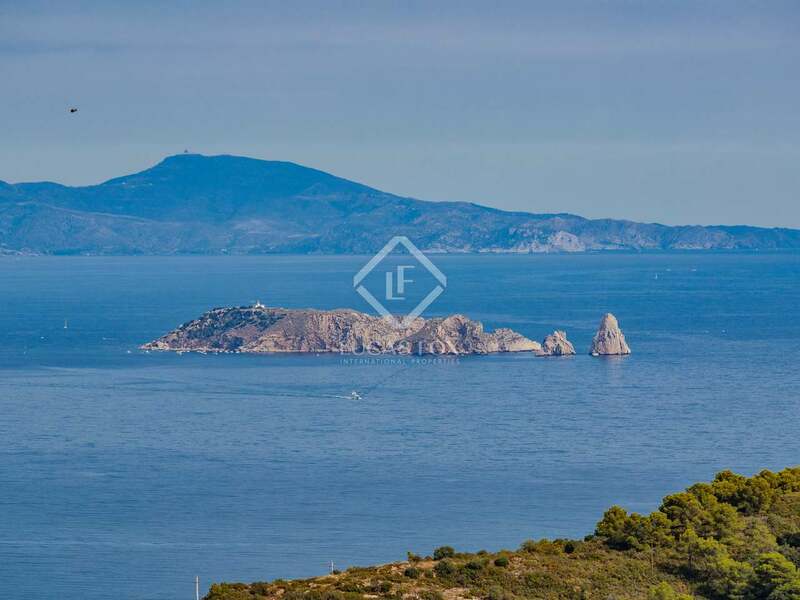 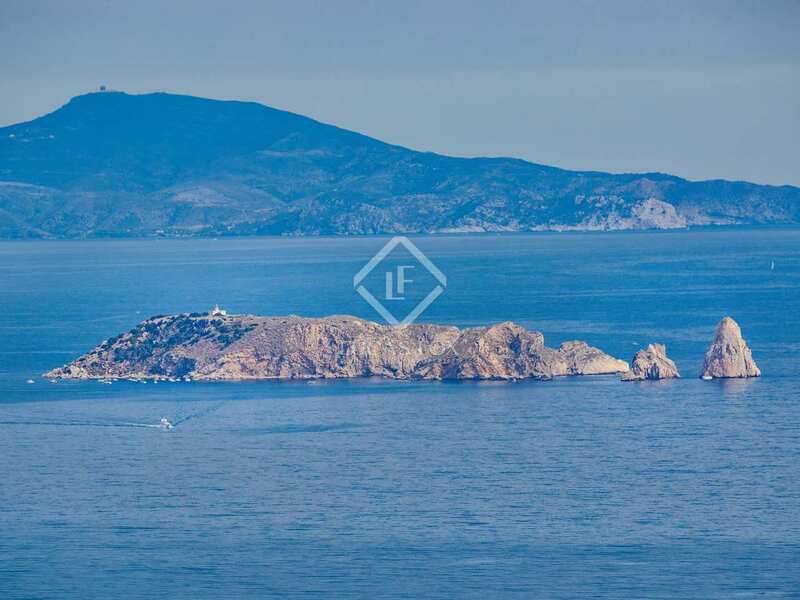 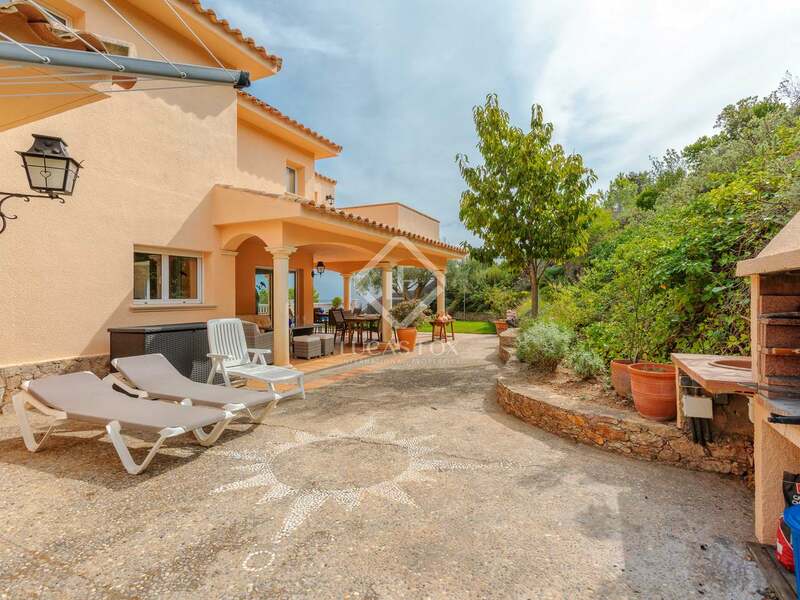 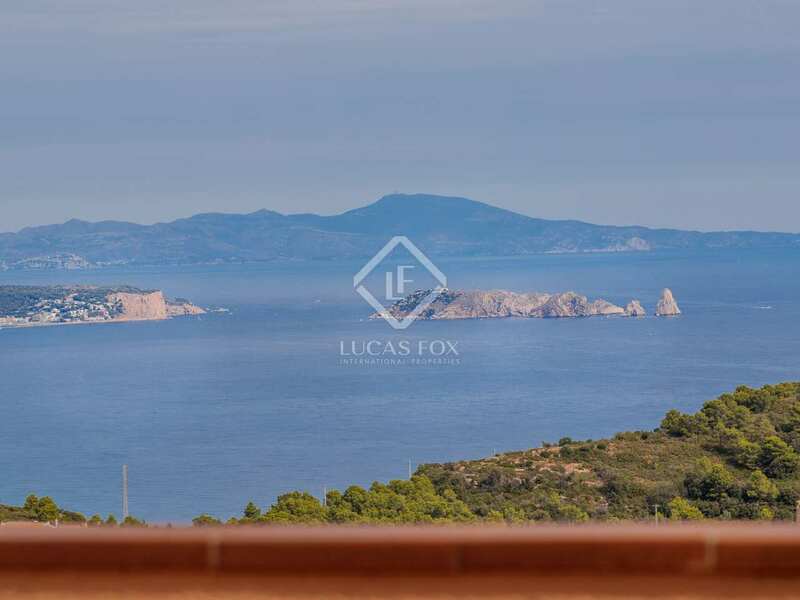 The property offers a high level of privacy as is not overlooked by other properties and boasts outstanding views of the Mediterranean sea, the Medes Islands, and the castle and town of Begur. 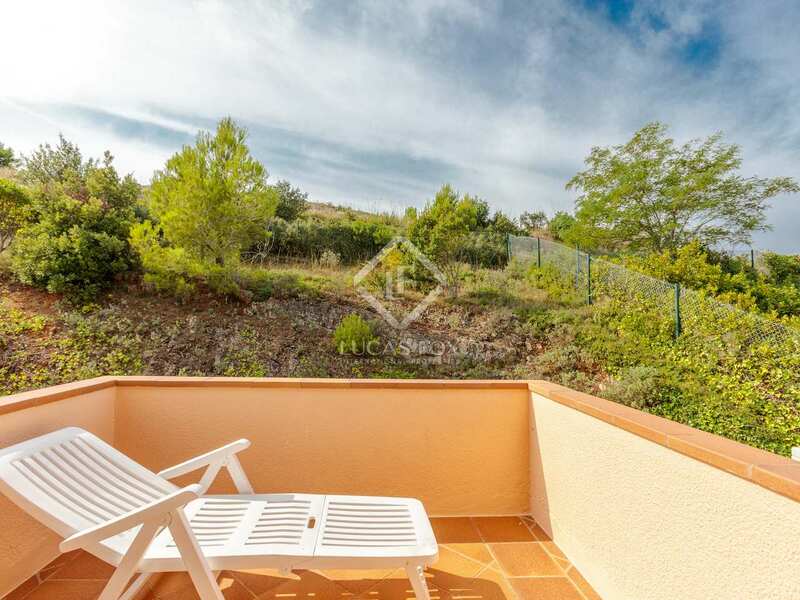 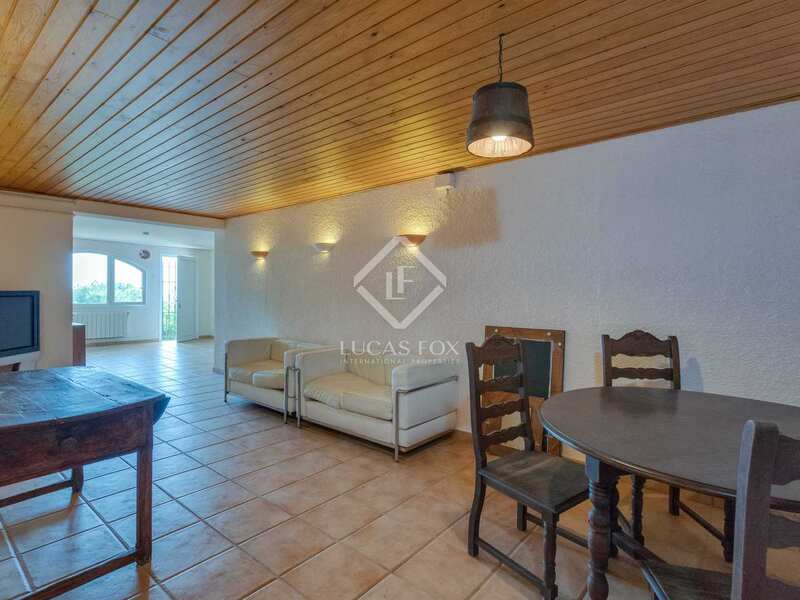 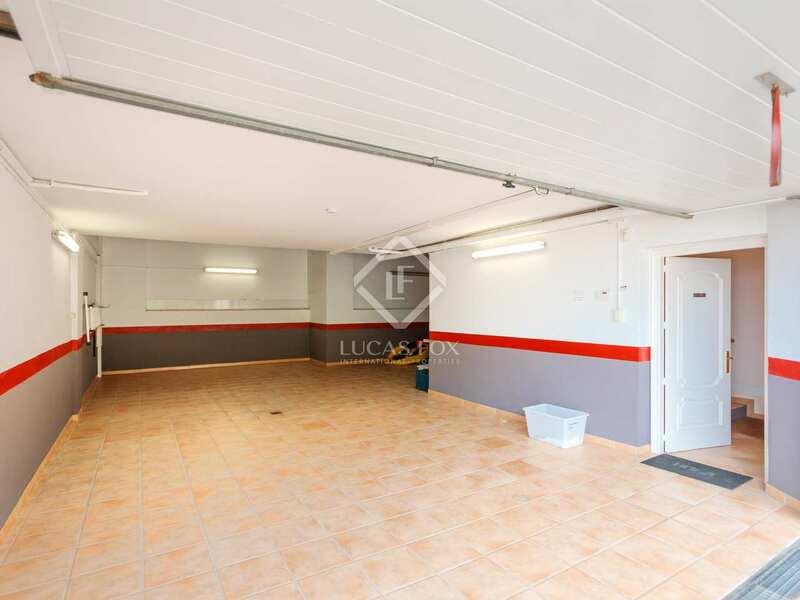 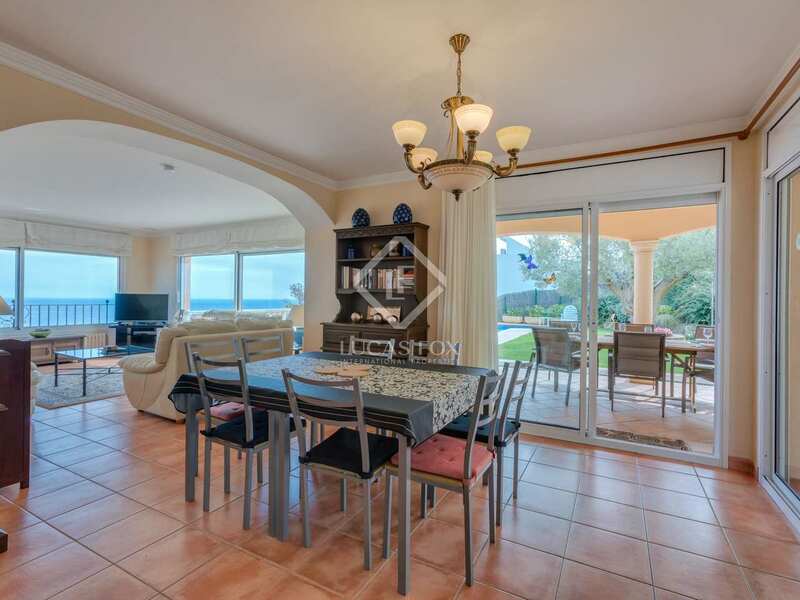 It benefits from a very well-maintained garden and private swimming pool. 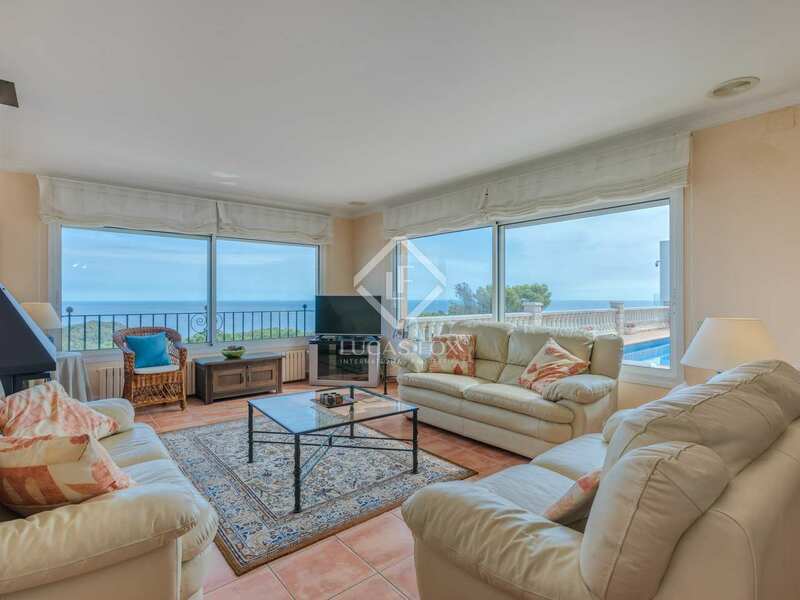 It has been meticulously designed and cared for and is now offered in excellent condition with central heating and air conditioning. 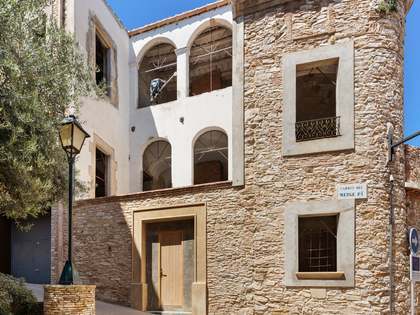 The main entrance is on the ground floor where we find a hall with stairs leading down to an open-plan reception room and bathroom and stairs leading up to the main reception room with triple aspect windows and sliding doors that open out onto a covered porch and the garden. 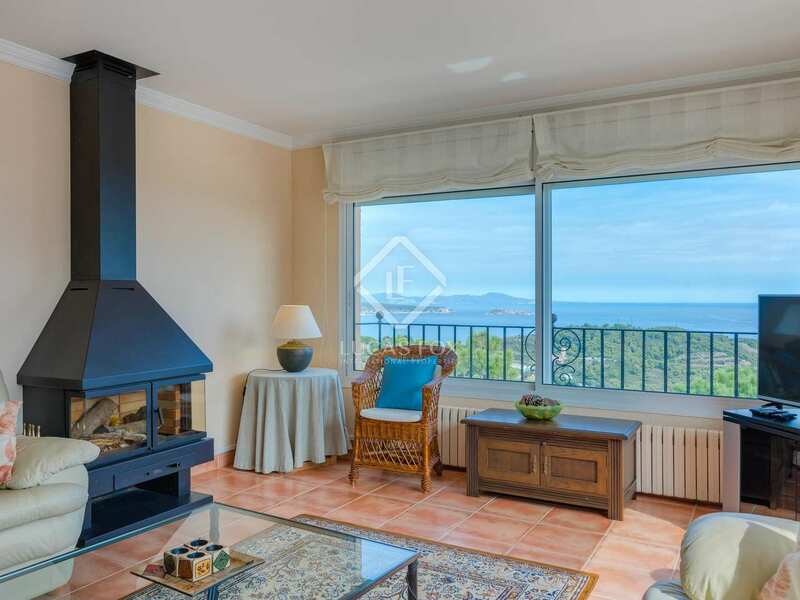 The reception room enjoys lovely sea views and benefits from air conditioning and a log burner. 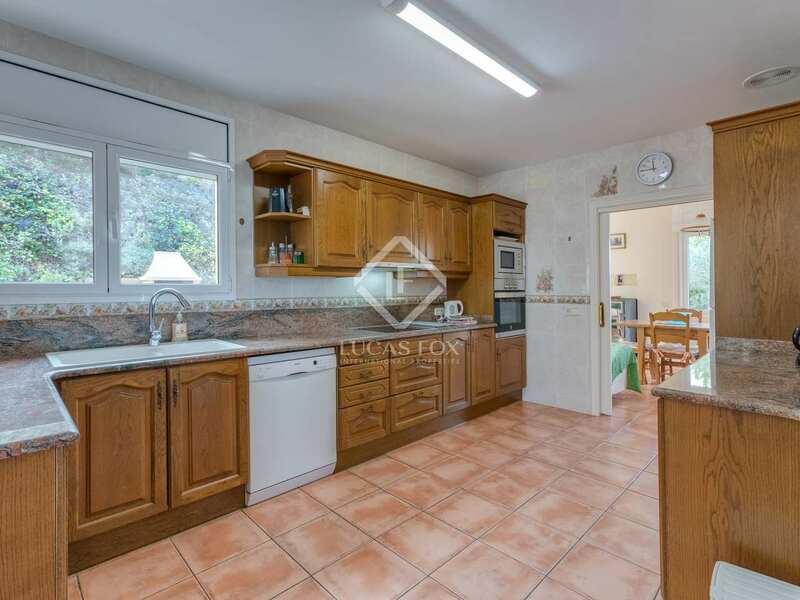 The fully-fitted kitchen leads off the reception room and there is a separate breakfast room and a laundry room off the kitchen. 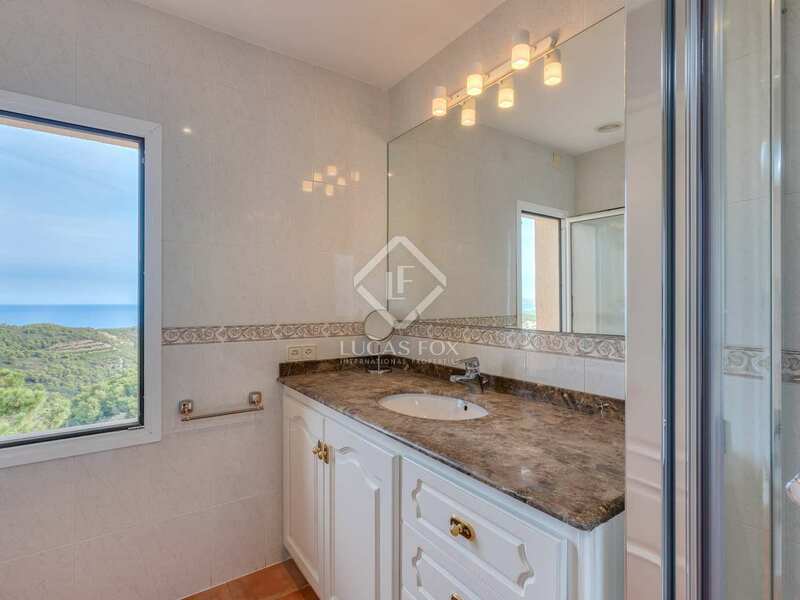 On the first floor is the master bedroom with built-in wardrobes, an ensuite bathroom and a private terrace, as well as 2 further double bedrooms, both with private terraces and sharing a bathroom with a jacuzzi and a shower. 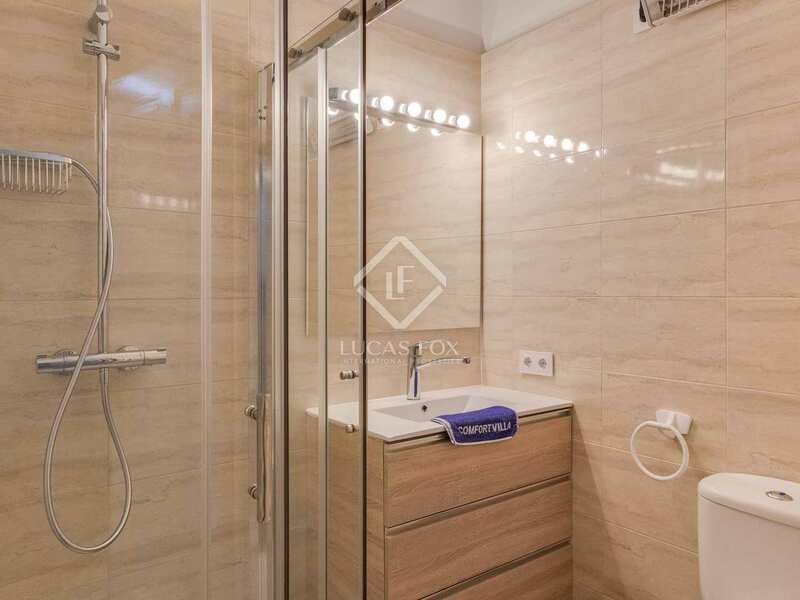 On the lower ground floor we find 2 double bedrooms with built-in wardrobes and a shower room, an independent guest apartment with a large living room/bedroom, room to install a kitchen, shower room and its own entrance, as well as a storage room and a spacious 4-car garage. 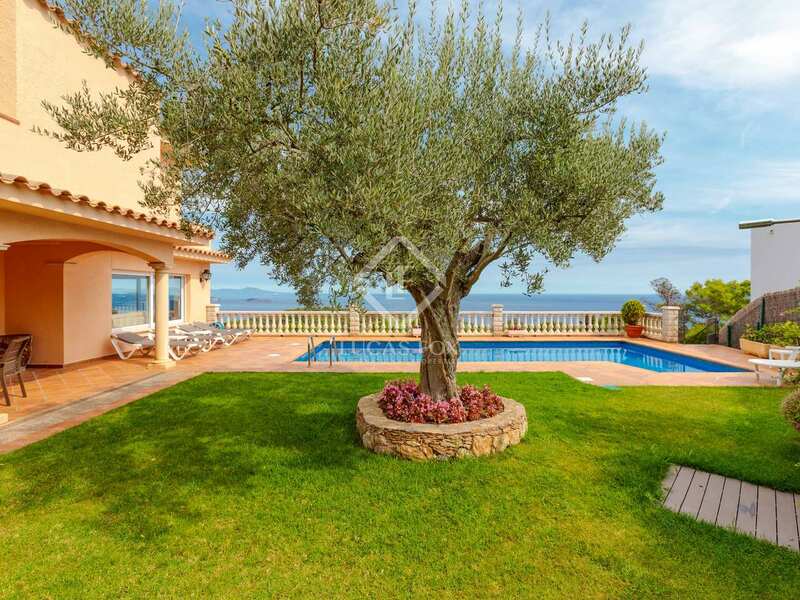 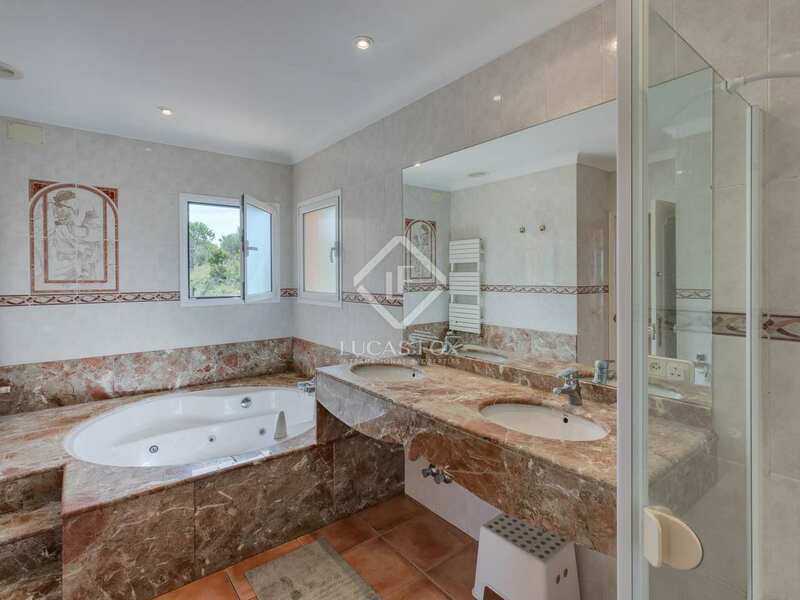 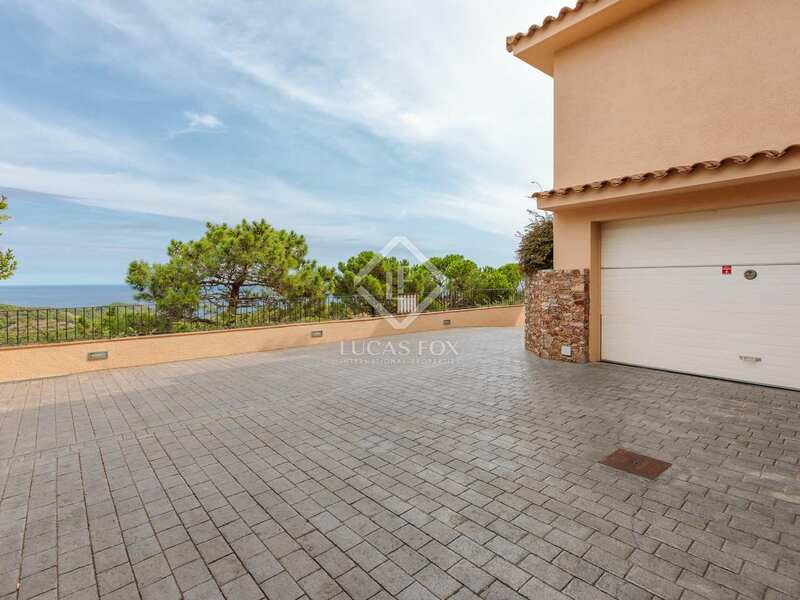 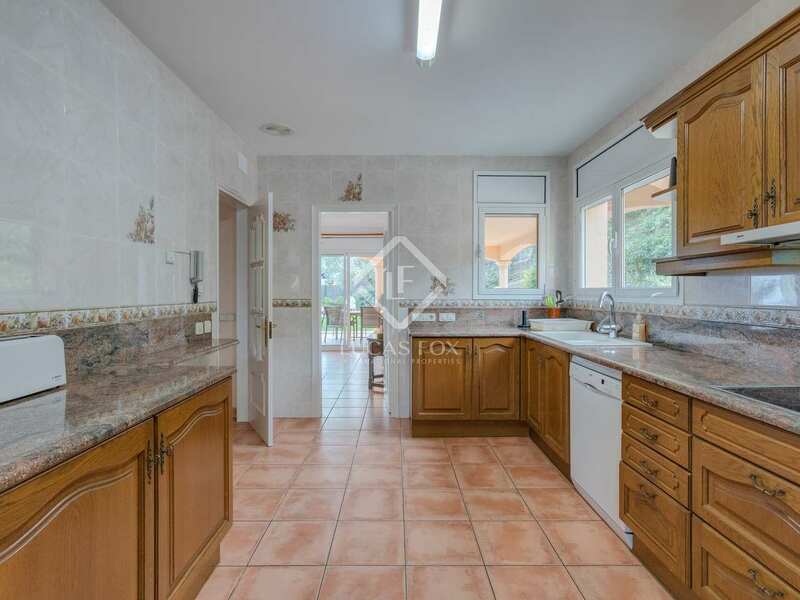 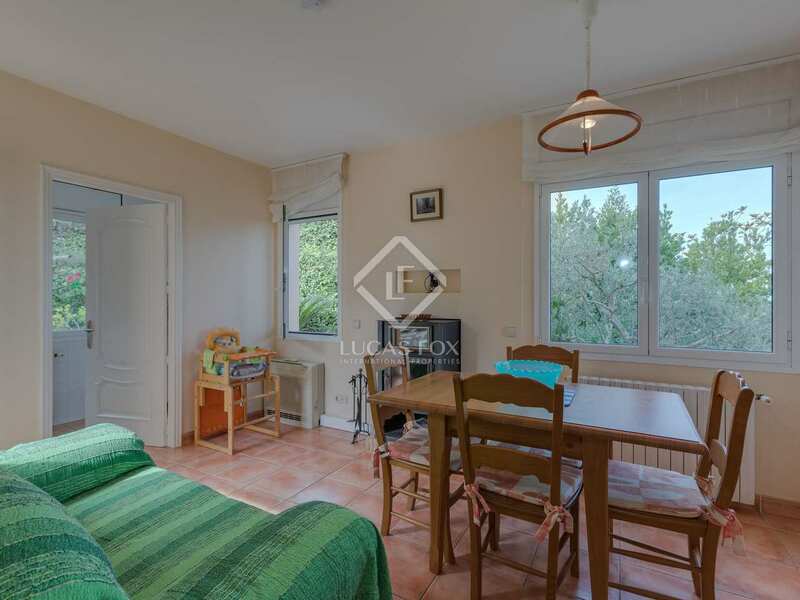 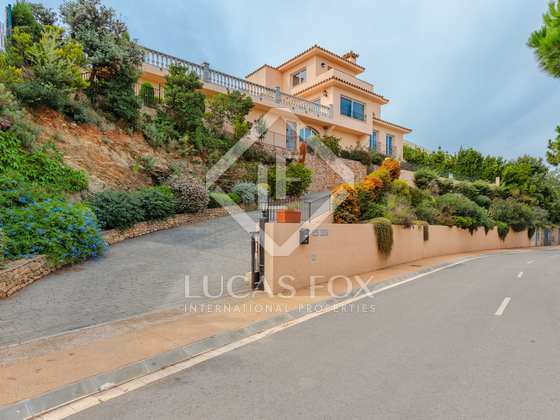 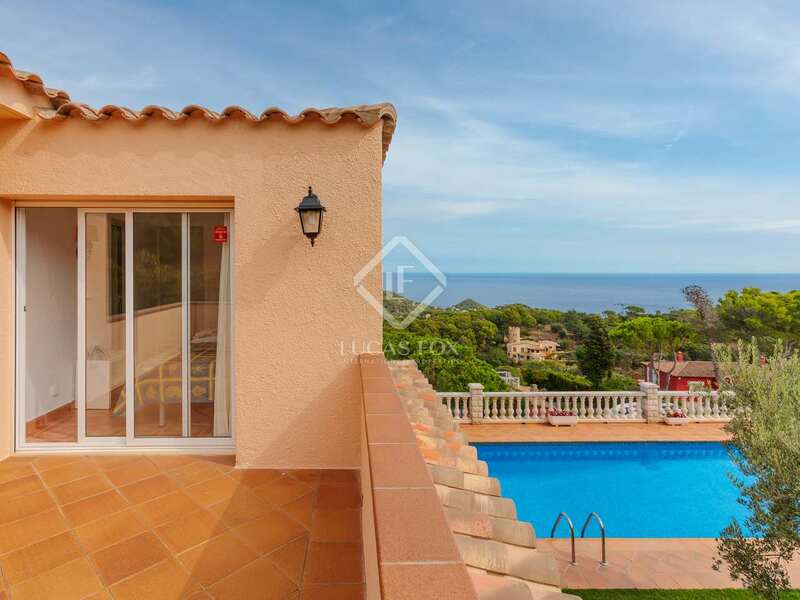 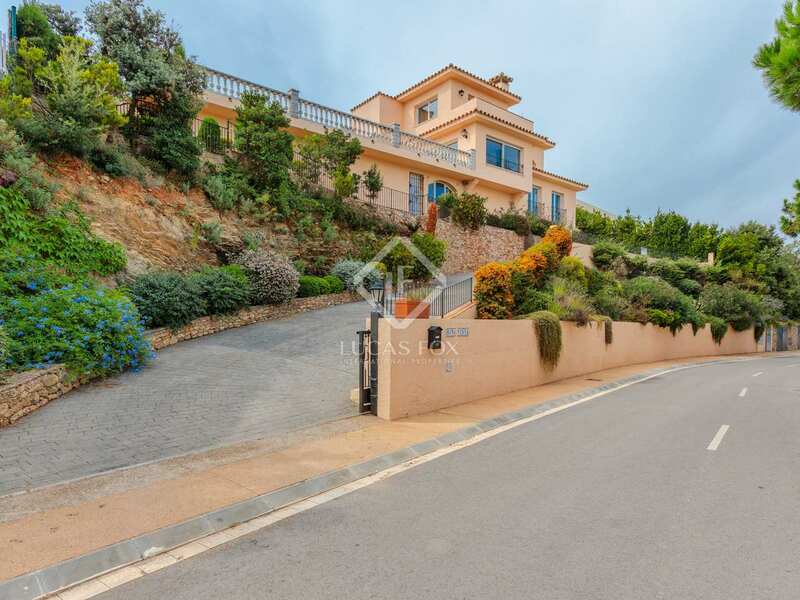 Contact us today for further information regarding this impeccable family home in Begur. 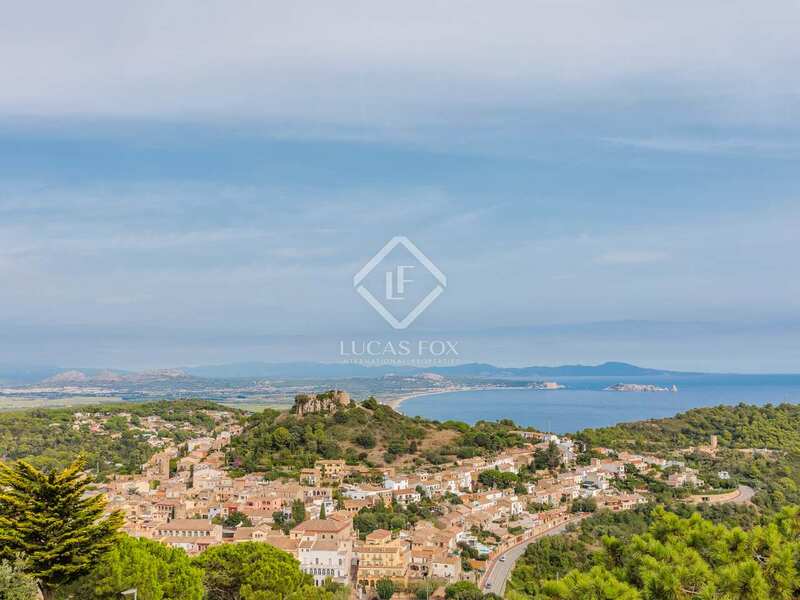 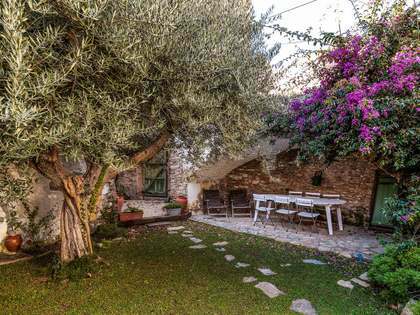 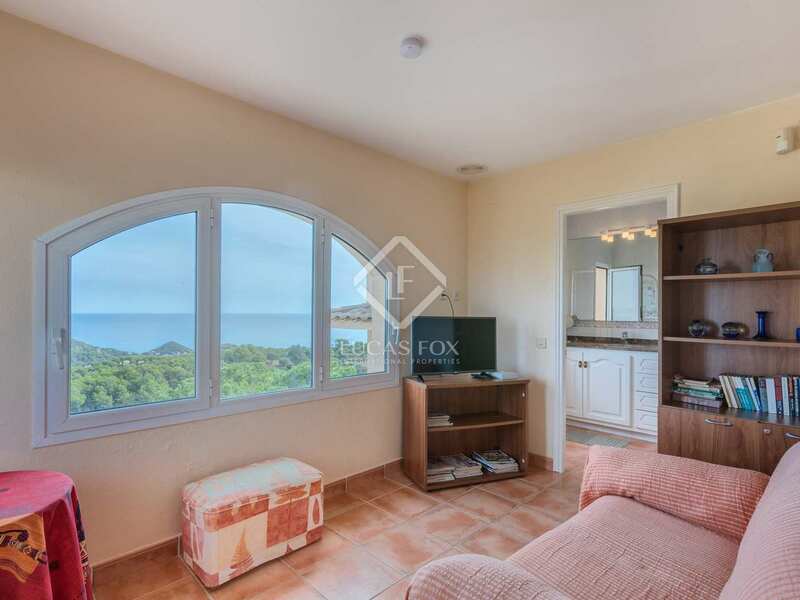 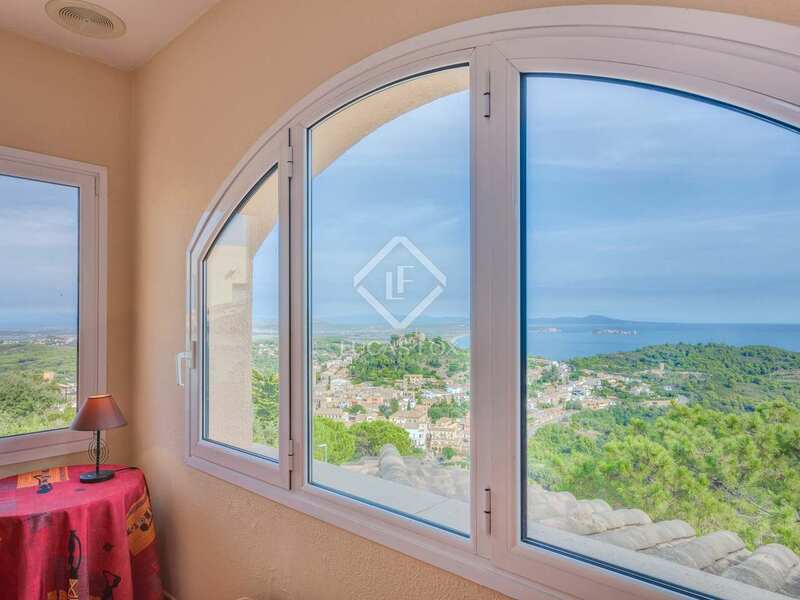 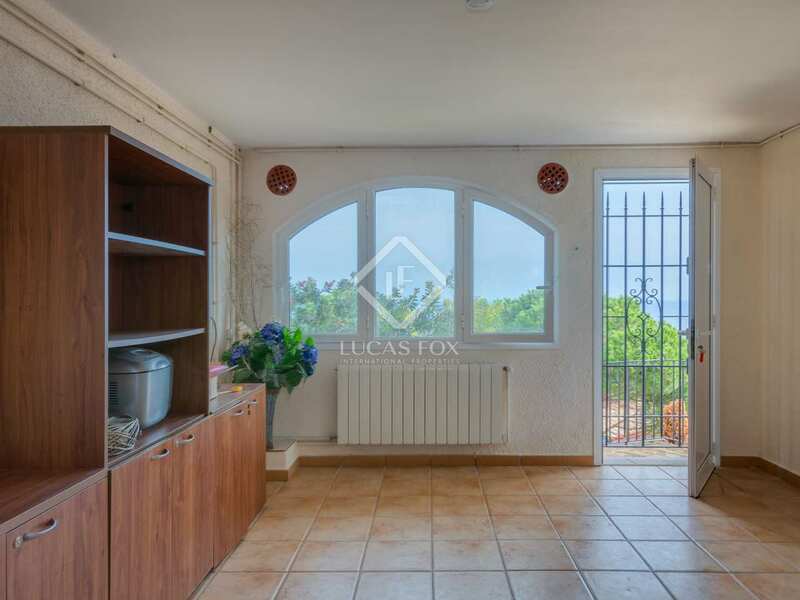 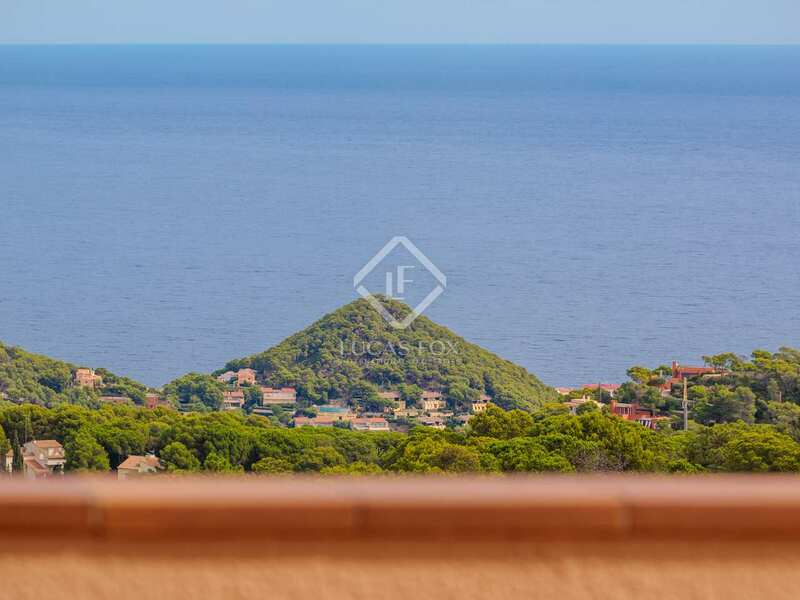 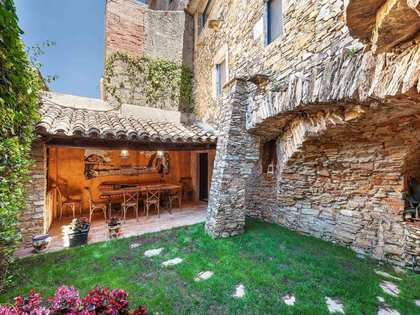 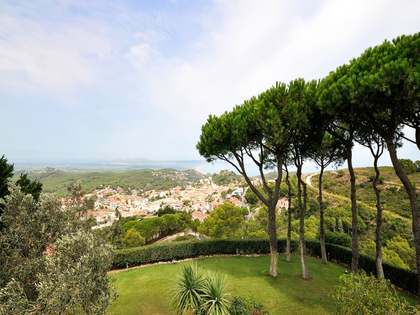 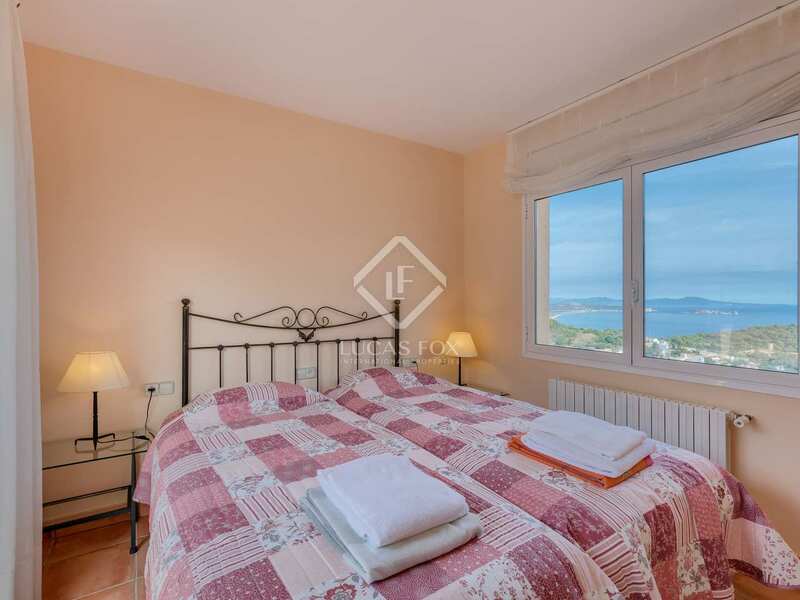 The property is located on a quiet residential street on a hill overlooking the town of Begur and offering wonderful views of Begur castle, the Mediterranean Sea and the Medes Islands.